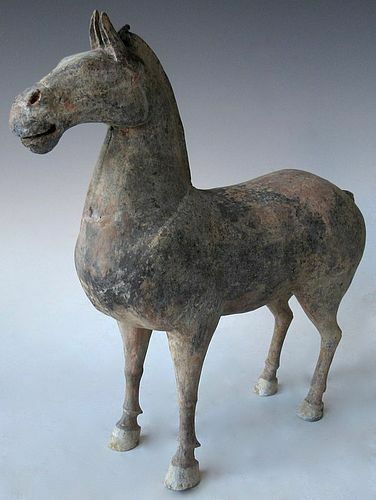 A Chinese tomb figure of an equestrian horse, made with gray clay, its body showing age with old pigment remains and tomb dirt. Lifelike hand sculpted form. 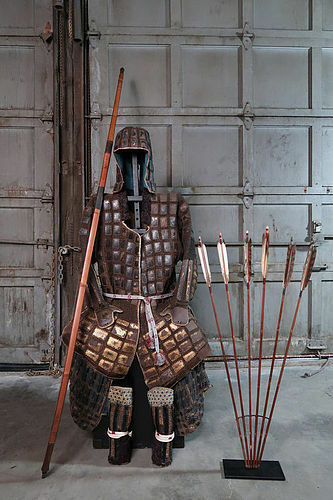 The tatami armor was used by foot soldiers, archers, and spearmen. Its a lightweight armor which allowed the warriors to be more swift and fluid with their movements. It is also an economical munition armor as a alternative to the traditional lace scale construction. Going to battle was costly and this gave the clan army full protection from all levels of warfare. Antique Chinese blanc de chine porcelain figure of Quan Yin, 17th century. Wooden shishi carvings used as architectural elements placed under the eaves of Shinto and Buddhist temples to ward off evil spirits. Beautifully carved keyaki wood shishi with glass reverse painted eyes. Mounted for wall presentation of custom iron stand. Japanese mingei hinoki water wheel. 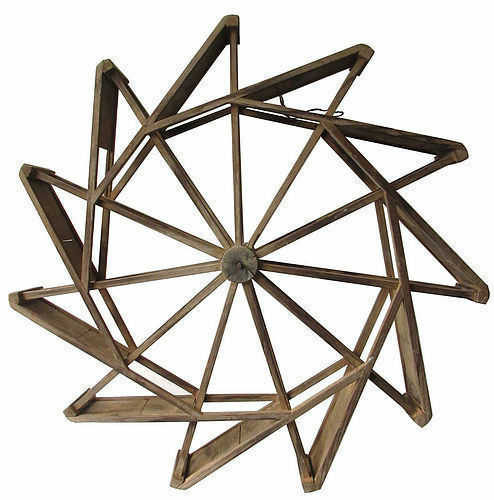 Complete 11 spokes with paddles used as a functional water wheel. Iron piston protrudes from the central hub for rotational function. 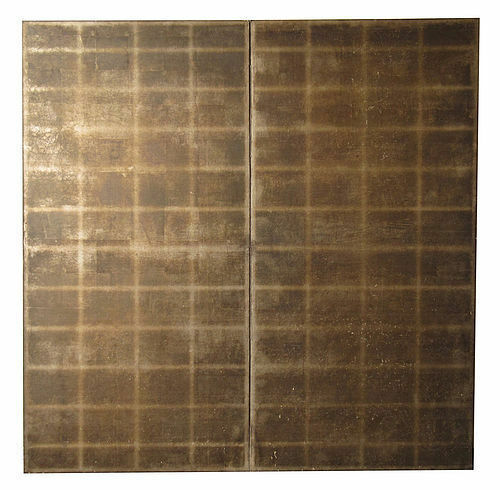 Size: 47 1/2" x 6"
Stunning antique Japanese two panel folding silver leaf screen. Oxidized silver leaf on layered gofun paper, mounted on Hinoki (Japanese cypress) wood lattice construction. Wonderful original condition with no tears or condition issues. Unframed to give a more deconstructed esthetic. A dark blue hemp fabric forms the base of these kote sleeve guards. 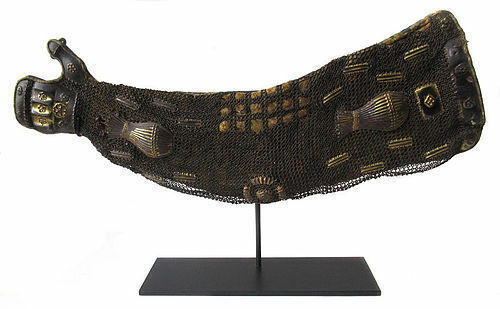 The upper area is covered in iron chain mail with pair of double gourd plates, crest mon, gilt iron plates, throughout the kote. The shoulder edge has three hinge plates to fashion to the Do armor. Unusually mounted on a custom black iron stand.